Step through the door of The Killyhevlin Spa Fermanagh and you’re already on your way to restoring mind, body and soul at one of the top spas in Northern Ireland. 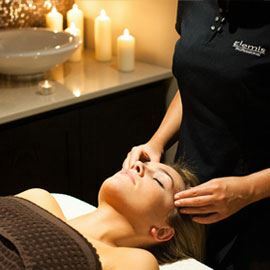 The Spa has collaborated with Elemis, the world-renowned spa product to provide you with the most luxurious treatments from a unique blend of exotic cultures around the world including Bali and Thailand. The relaxation area is the perfect place to escape after your full or half day spa treatments. Enjoy a fruit juice, read a book or simply chill out in the luxury yet calming environment. 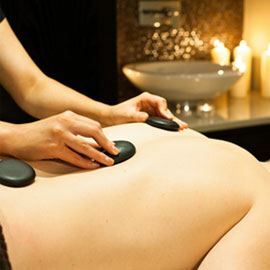 The spa-therapy menu has been individually designed to fulfil every lifestyle need from power-boosting anti-ageing facials and hands-on body therapies, to exotic rituals and detox therapies. Elemis treatments are complimented by a range of spa products, from leading brands such as Jessica Nails, Art Deco, He-Shi and Vita Liberata. We also have a range of spa packages available and a guide on how to spa.